This article is about the town in Karnataka. For the 12th-century Vishnu temple, see Chennakeshava Temple, Belur. For other uses, see Belur. Belur, (IPA: [beːluːru]; is a Town Municipal Council and taluka in Hassan district in the state of Karnataka, India. The town is renowned for its Chennakeshava Temple, one of the finest examples of Hoysala architecture. Belur was the early capital of the Hoysala Empire. Belur along with Halebidu about 16 km away are one of the major tourist destinations in Karnataka. Belur is located in Hassan district. According to inscriptions discovered here, it was also referred to as Velur or Velapuri. It was the early capital of the Hoysala kings in 11th-century and remained a second capital through the 14th-century. The city was so esteemed by the Hoysalas that it is referred to as "earthly Vaikuntha" (Vishnu's abode) and "dakshina Varanasi" (southern holy city of Hindus) in later inscriptions..So many workers worked for building Belur.It took 190 years to complete. Its name might be related to the name of the mineral beryl and the element beryllium. Belur is in Hassan district of the Indian state of Karnataka. It is about 35 kilometres (22 mi) northwest of Hassan. The town is about 200 kilometres (124 mi) west of Bengaluru (IATA Code: BLR), about 3.5 hours drive accessible with a four lane NH75 highway through Hassan. 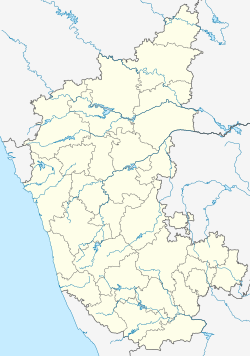 Hassan and Chikmagalur are the closest cities near Belur that are connected by railway network to major cities of Karnataka. Belur has an elevation of 979 metres (3,212 ft) above sea level. There are regular buses to Belur from Bengaluru (222 km), Chikmagalur (22 km), Halebidu (16 km), Kadur (62 km), Hassan (32 km), Hospet (330 km), Mangalore (124 km), Mysore (149 km) to Belur. Belur is a small town and most hotels are outside Hassan city on the Belur road (State Highway 54), Halebidu road (State Highway 21), in Hassan or Chikmagalur. The temple is about 16 kilometres (9.9 mi) from Halebidu temples. The primary mode of employment in the Belur region is agriculture and tourism. Crops grown include coffee, rice, finger millet, pepper, cardamom, ginger and sugarcane, with paddy being dominant. Belur is home to a Vishnu-related Hoysala Hindu temple complex from the 12th century called the Kesava Temple at Belur. This temple along with Hoysaleshwara Temple and Jain temples in Halebidu have been proposed as UNESCO world heritage sites. Hoysaleswara Temple, Halebidu: it is 16 km from Belur, was capital of Hoysala and it was formerly called as Dwarasamudra. It has another famed collection of Hindu and Jain temples showing 12th century Hoysala architecture and artwork. Kesava Temple, Somanathapura: it is about 180 kilometres (110 mi) southeast from Belur, another site of a major 13th century Hoysala temple and arts dedicated to Krishna and other forms of Vishnu. Shravanabelagola, Channarayapatna: it is about 75 kilometres (47 mi) southeast from Belur on National Highway 75, one of the most important Jainism pilgrimage site in South India. It is the site of a colossal Gommateshwara statue and the place where Chandragupta Maurya is believed to have committed Sallekhana in the Digambara tradition. ^ Sen, Sailendra (2013). A Textbook of Medieval Indian History. Primus Books. pp. 58–60. ISBN 978-9-38060-734-4. ^ Narasimhacharya 1987, pp. 1-2. ^ Harper, Douglas. "beryl". Online Etymology Dictionary. ^ a b c d e V. K. Subramanian (2003). Art Shrines of Ancient India. Abhinav Publications. pp. 75–77. ISBN 978-81-7017-431-8. ^ "Elevation of Belur, Karnataka". Retrieved 15 December 2017. ^ Gopal, Madan (1990). K.S. Gautam, ed. India through the ages. Publication Division, Ministry of Information and Broadcasting, Government of India. p. 174. M.H. Krishna (1966). K.A. Nilakanta Sastri, ed. The history of the Sri Vijayanarayana Temple of Belur (Mysore State). The Bhandarkar Oriental Research Institute. Narasimhacharya, Ramanujapuram (1987). The Kesava Temple at Belur. Asiatic Society. OCLC 37520409. Wikimedia Commons has media related to Belur.